This Ad Must Be Printed and Endorsed by J.Johnson to receive this price!! THIS IS AN EXCLUSIVE INTERNET PRICE...E-Prices cannot be combined with any other offers! Call J.Johnson for details.Please print out this ad to receive this exclusive internet pricing.Online purchases must be made through internet department to receive this price. 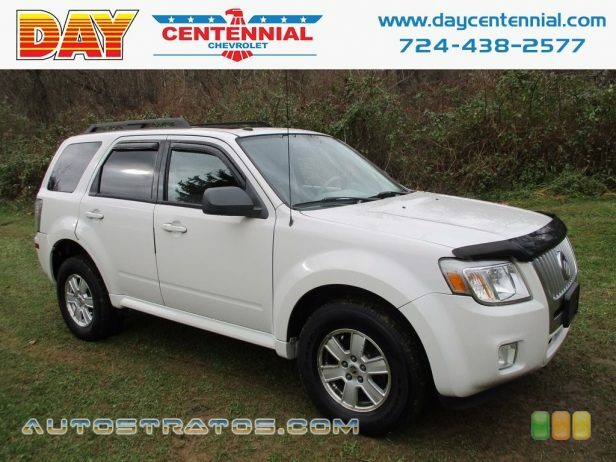 2010 Mercury Mariner Base 4D Sport Utility 2.5L I4 iVCT 6-Speed Automatic 4WD Priced below KBB Fair Purchase Price! Clean CARFAX. 26/20 Highway/City MPG At Day's Centennial Chevrolet, our entire team works together to provide you with the ultimate Chevrolet shopping experience. We are here to exceed your expectations, deliver the best service possible, and make car shopping fun again. If we can be of any assistance while visiting us online, send us an email and we will promptly reply. We hope to see you soon!